Qatar Airways has confirmed the expedited the launch of a number of new destinations as it expands its global expansion plans. The latest additions to the carrier’s global network are a direct service between Doha and Nice that launched on 4 July, with Sohar, Sultanate of Oman, and Prague, Czech Republic, due to launch on 8 August and 21 August respectively. The Doha to Nice flights will operate five times a week, the Sohar flights will operate three times a week, and the service between Doha and Prague will operate on a daily basis. The Nice service will be operated by Boeing B787 Dreamliner, while Sohar and Prague will be served by an Airbus A320. 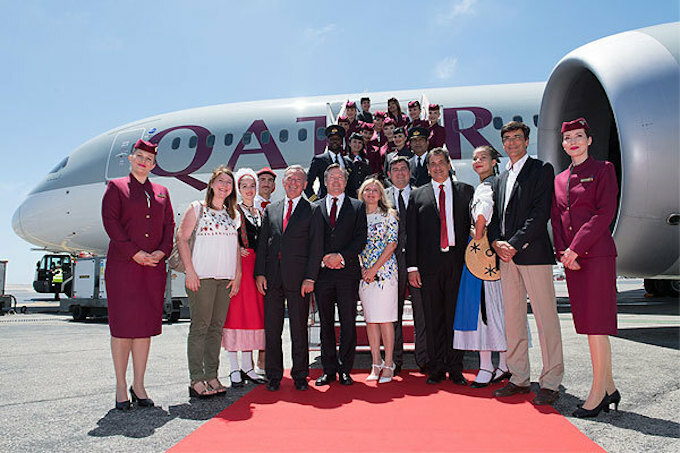 Qatar Airways, which was named 2017 Airline of the Year by Skytrax, recently launched a direct daily service to Dublin, Republic of Ireland, as part of its global expansion strategy, with flights to Skopje, Republic of Macedonia, also set to follow on 17 July. Other new destinations planned for the remainder of the year and 2018 include Canberra, Australia; Chiang Mai, Thailand. ; Rio de Janeiro, Brazil; San Francisco, U.S.; and Santiago, Chile. A total of 25 new destination launches will take place throughout 2017-2018.